Apirl showers bring May flowers and over at Scraptivity they are celebrating flowers by posting a different tutorial each day on how to make and use flowers in layouts and crafts. See them all here. May 6 the tutorial is on how to make a paper calla lily. They are surprisingly simple to make. 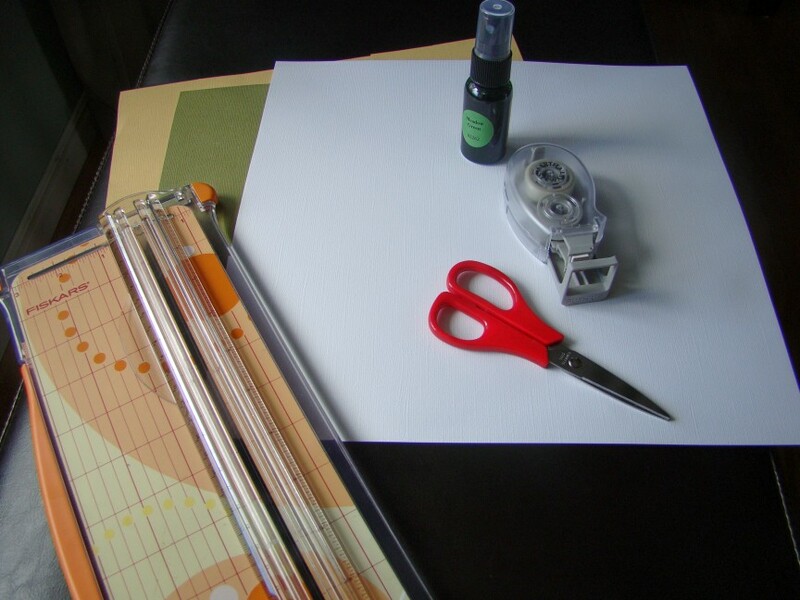 Supplies : Cardstock yellow : stamen, green : stem, white : bloom, trimmer, scissors, adhesive, glimmer mist. First cut a .5 X6" piece from the yellow cardstock to make the stamen. Roll it the best you can, and then fold it in half. Set aside. Step 2 : Make the stem. 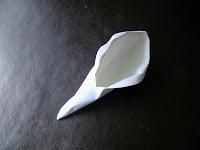 Cut a 4"X10" piece from the green cardstock, and roll to make the stem. 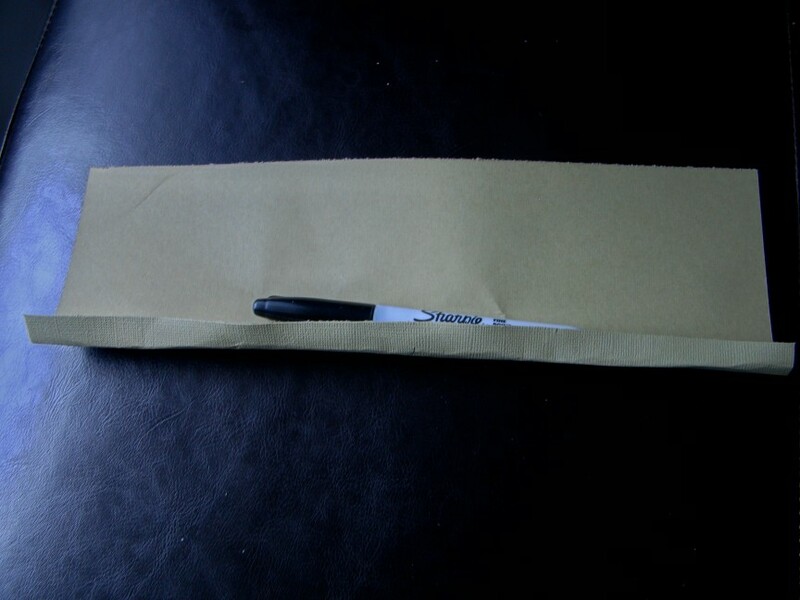 It is easier to roll it around a pen to give it a more rounded shape. Set aside. Step 3 : Cut an oval from the white cardstock. Any size will do. This one was about 3.5" wide by 6" long. 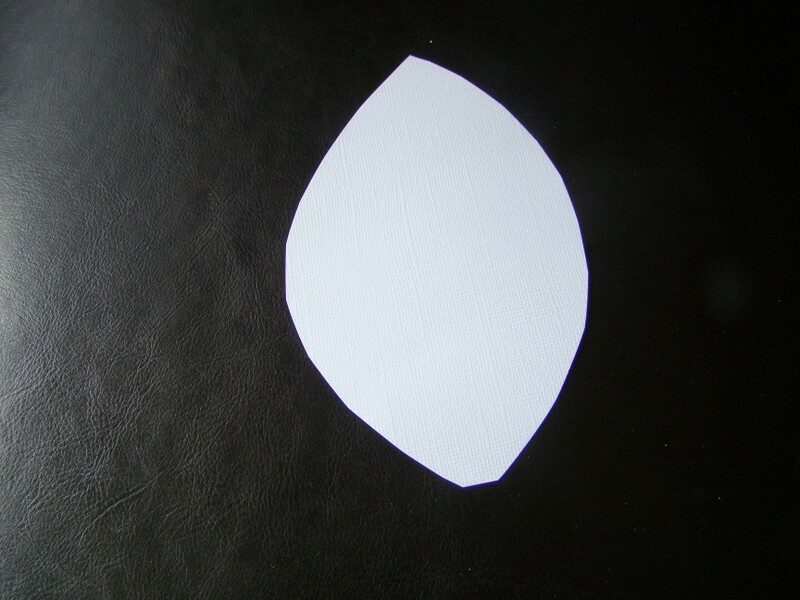 Try to give the oval a bit of a pointed tip. 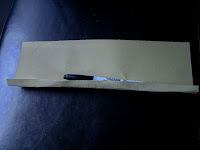 Step 4 : Roll the edges of the oval back on the top 2/3's of the oval. Then roll the bottom part of the oval into a cone shape and use adhesive to hold it in place. 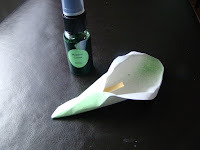 Use some Glimmer Mist and spray the cone part of the blossom and the tip green. Tuck in the stamen, and then tuck it all into the stem. 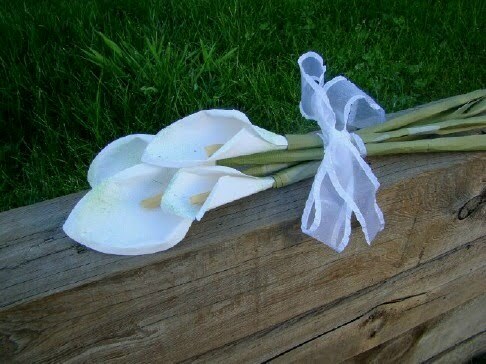 Make a few to create a bouquet wrapped with ribbon, or flatten it out to use on a layout. OMG! That is SO cool. I saw those flowers in your previous post and never would of guessed that that they were paper! Love it!